It’s a good week for fans of Christopher Nolan’s Batman franchise. 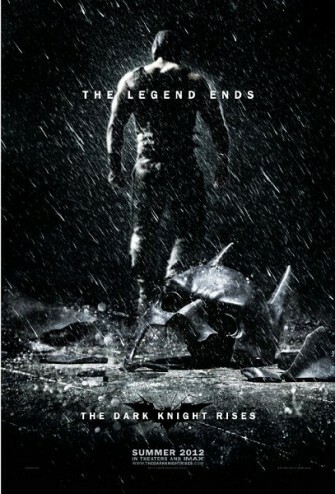 The second trailer for The Dark Knight Rises has hit the internet. For your viewing and reading pleasure, here’s some much needed character background, the trailer, and my breakdown of what the video has to offer. For those who don’t know, this movie’s primary antagonists are going to be Bane and Catwoman. I’ll assume that you remember Michelle Pfeiffer as Catwoman, thus the character requires little introduction. Bane, on the other hand, is a bit of an unknown quantity. He’s not the most widely known Batman villain, but he’s one of the best despite what you saw in Joel Schumacher’s Batman and Robin atrocity. Bane, for all intents and purposes, is the Nietzschian Superman. He was born in the fictional nation of Santa Prisca where the country’s corrupt court system sentenced young Bane to life in prison for the crimes of his father. Inside the walls of Pena Dura prison, Bane killed his first man at the age of eight. Dividing his time between the library and exercise yard, he became the dominant force of the prison. When the prison’s administration noticed the titan among their ranks, they subjected him to an experimental drug called Venom. This drug, to which he became hopelessly addicted, enhanced his already impressive physical and cognitive abilities. Supercharged on Venom he escaped Pena Dura and set out for Gotham. Much like the Scarecrow and Joker, Bane is Batman’s equal and opposite. Where Bruce Wayne used his wealth and privilege to remake himself as Batman, Bane became more than a mere man through suffering and abject poverty. Thus, they are both products of their own will. As well, both feed on the fear of others. The only difference is Batman seeks to protect the weak while Bane wants to dominate them. These distinct origins are seen in the trailer’s first scene: Bane climbing out of the sewer juxtaposed against a silver platter covering Bruce Wayne’s dinner. A delightful subtext begins here and carries through the trailer suggesting that this movie is about class warfare. The subsequent scene shows us that a time of calm has descended upon Gotham. Gordon, cast in the role of Winston Churchill, is a relic of The Dark Knight’s war on organized crime. It would seem that the mythology of Harvey Dent served its purpose. This leads us into the next scene where Selina Kyle chides Bruce Wayne as the voice of the 99%. I think it’s safe to assume that where the 90s Catwoman was a voice for post-feminism, this one is a champion of the underclass. Let it not be said that Christopher Nolan is ignorant of his movie’s audience. Following the Bruce/Selina dance, the trailer shows an image of armed goons in jumpsuits walking through a broken wall. In the comics, Bane freed the residents of Arkham Asylum as part of his plan to bring down Batman. During the three months it took Batman to clean up the mess, Bane researched the caped crusader’s movements and figured out Batman’s identity as Bruce Wayne. Don’t let the muscles fool you, Bane is likely one of Batman’s smartest foes, right up there with Ra’s al Ghul. We then see Alfred and Bruce in a prison, possibly Pena Dura. Bruce: What does it mean? Once again, this is an equal and opposite moment. It’s not simply about Batman rising out of his own ashes. Rise could just as easily be Bane’s slogan as he rises to dominate all those who he perceives as a challenge to his strength. For that matter, it could also connect to the masses rallying behind Catwoman and her crusade against Gotham’s elite. Why would Bane blow up a football game? Other than getting a bit of Pittsburgh Steelers money into the movie, it connects back to Bane’s modus operandi. On the one hand he’s attacking the strength of the players on the field. Only Hines Ward proves fast enough to outrun the destruction. At the same time he’s attacking the weakness of the crowd. Unlike Joker who blew up a hospital for fun, Bane could be shunning the passivity and unworthiness of the beer fueled crowd. Great line, too bad that facemask is in the way. This is the one problem I have with Bane’s current incarnation. He looks silly. That jacket looks like something stolen from one of Vin Diesel’s crap fests. As for the mask, it’s likely the conduit for Bane’s twice daily Venom dose. However, I don’t see how this could possibly be an improvement over the canonical pair of tubes that run into the back of Bane’s head. Given the fact that both of Nolan’s previous Batman movies have eschewed silliness at every turn, I think this is a gross misstep.